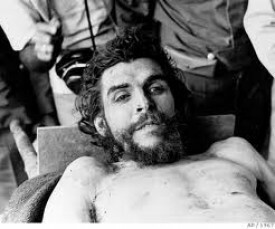 Next time your kid comes home in a Che Guevara T-shirt, ask him if he knows what the Cuban murderer of Cubans actually stood for. Sit him down, strip the gauze of ignorance from his eyes and have him read these Guevara quotes. Then burn the damn T-shirt. 4. “A revolutionary must become a cold killing machine motivated by pure hate. We must create the pedagogy of the The Wall!” The Wall is a reference to the wall where Che’s enemies stood before his firing squads. Be sure not to miss our 13 Reasons You Should Throw Away Your Che Guevara T-Shirt article.